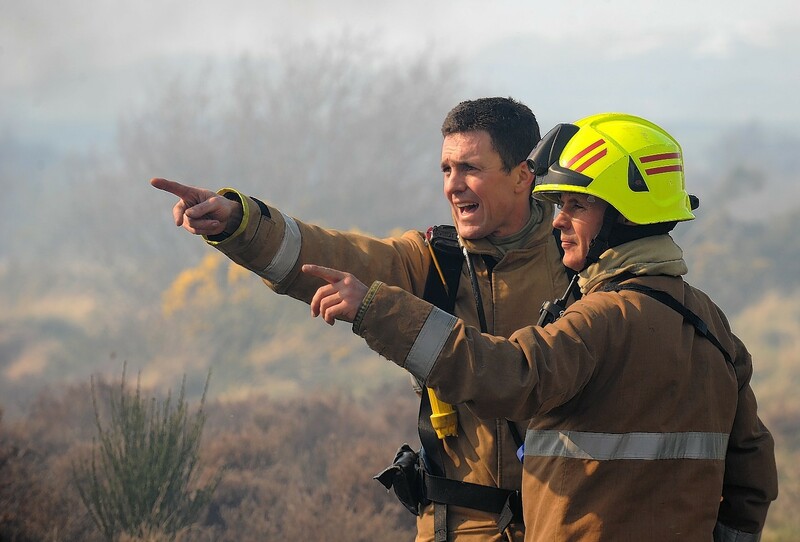 The fire and rescue service were called to the incident on the A941 Elgin to Lossiemouth road, at Sunbank Quarry, at around 12.30pm. The Stagecoach bus is said to have suffered an engine problem near Sunbank Quarry whilst travelling to Elgin with several passengers on board. A passing motorist called the fire and rescue service after reporting seeing smoke spewing from the vehicle on the road. Two fire crews from Elgin and Lossiemouth were called to the incident but the bus is not said to have caught fire. A fire and rescue spokesman said they had still treated the incident as a “confirmed fire”, adding: “It was out by the time we got there, it was some sort of a mechanical issue. There was a lot of smoke and oil. A police spokeswoman said: “It was just outside Lossiemouth, it appears to have been extinguished before we arrived. The road was blocked. A Stagecoach spokeswoman said: “At around 12.30pm today one of our vehicles pulled over on the A941 due to an engine problem.